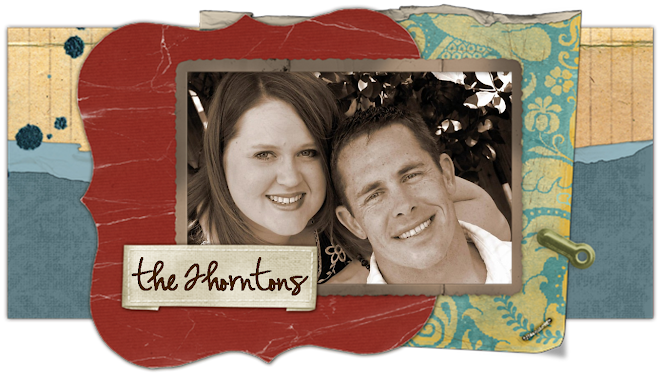 the thorntons: Wake Up Call! Don't worry, I'm not talking about a bad "wake up call" or anything...I got the BEST kind this morning when Ryan called me at 6 a.m.! We got to talk for about half an hour, and the satellite phone only cut out one time. That's a first! He sounded so good--probably the best I've heard him--and it put me in the best mood for the rest of the day. I wanted to go back to bed after we got off, but I couldn't quit smiling enough to sleep, so I decided to get up and be productive. I finished my laundry from my trip (finally! ), went to the grocery store, walked both dogs, pulled some weeds, bought tickets to "The Drowsy Chaperone" in New York (for a great discount, might I add! ), returned a shirt that I decided was ugly, and got my large Diet Coke with Sugar-free cherry from Sonic before I had to teach lessons at 3:00. Then I taught 6 piano lessons until 7:00 and flew to musical practice after that until 9:00. Of course, I TiVo-ed American Idol and watched Ace get voted off. I was sad because he's SO nice to look at, but he was definitely not the best singer in the competition, so I guess I have to let him go. Man! If my days keep going by this fast, Ryan will be home in no time! I am so glad you heard from him!!! Sounds like you are back in your routine, and I hope it does go by fast for you! Loved your comments on Molly's blog! Gave me a good laugh!!! yea!!! I'm glad you were productive and bought those tix! hahhaha...kdiding!! I love yoU! Yea, thanksf or the hilarious comments on my bloggg! I'm so glad you heard from him too. I can imagine that it makes all of the difference in the world when you get hear his voice. It'll be no time and you'll be in Houston and all of these things will only be memories that made you stronger!...And, I'm still so jealous of this NY trip! I wish you'd stop talking about it! Ha...just playing! LOVE YOU! Brittney, come on...just buy a ticket! You can do it!